Manufacturers and exporters of leather shoes, etc. Manufacturers and exporters of leather blazers, etc. These DIARIES are wood free and handmade from 100% recycled materials. The Cover is made from thick and strong Leather. The leather cover has been beautifully etched and adorned with a stone. The edges have also been stitched. The inner leaves are handmade from recycled materials and are 110 in number. 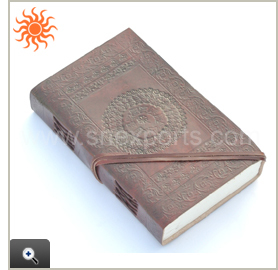 The leather string can be used as a bookmark and also to tie the diary together. Stone can be variation in colour. Manufacturers and suppliers of a wide range of leather and nylon products such as leather wallets, ladies purses, leather laptop bags, portfolios office bags, trolley bags, leather belts, leather planners, nylone products, laptop bags, sack bags, school bags, sports kit bags, travel bags, garment products, t-shirts, men shirts, denim caps, accessories, conference folders, document holders, visiting card holders, travel kit pouches, mobile covers, passport covers, key chains, etc. Engaged in suppliers of leather goods, accessories & garments, etc. We are manufacturer and exporter of leather goods with our product leather furniture, leather paneling, caps, organizers, hand bags, belts, leather wallets, gloves and leather jackets etc. Engaged in suppliers of varieties of leather products like wallets for gents and ladies, leather bags, table top products, ladies purses, key pouches, passport holders etc. 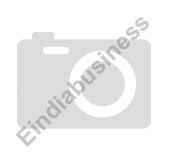 Manufacturers & exporters of full range of decorative glass, leather items, saddlery & harness, handicraft items. B S Shoes Suppliers of leather footwear, leather garments, leather good and leather, raw leather and shoes accessories, etc. M. Bilal Hussain And Co.
Ramesh Kumar & Co. Ltd.
N M Sackriah And Co.
South India Prime Tannery Pvt. B. S. Shoes Pvt. Ltd.